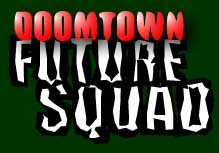 What was the Doomtown Future Squad? Let's start with a PDF chronicle of the DFS website, uploading the site would require additional sites, and a lot of work, so I printed it as a PDF minus all the links, as all the ones that still go somewhere are linked on the links page here. 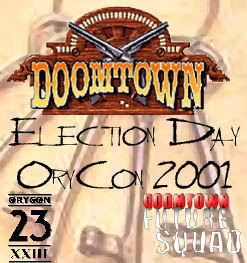 Ghosts were a planned new card for the Doomtown Future Squads first set: Ghost Town. 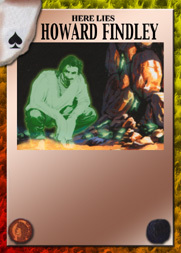 Ghosts are Spade cards that represent Dudes who have died as Doomtown has progressed. Ghosts are not Dudes but count as the Dude it shares its name with for the purposes of Uniqueness. Once a Ghost card has been put into play, no Dude who shares that Ghost's name may be put into play, even if the Ghost card leaves play. Ghosts are not dudes. They cannot be targeted as Dudes. You cannot ace them to satisfy casualties. They are only there to give bonuses to the dudes and deeds they Haunt. Ghosts can enter play 2 ways. They may either be played immediately as a reaction when the dude the Ghost shares its name with is put into Boot Hill. In this case they come into play either haunting the location in which the dude was aced or attached to a dude you control at the location in which the dude died. The other way to bring a Ghost into play is by meeting the requirements of bringing the Ghost into play listed on the card. Howard Findley may be brought into play at the Mental Hospital or at a strike you own but have no dudes at. So in the case of Howard Findley, you may either as a reaction bring Howard Findley into play at a location where a Dude version of Howard Findley was just aced, at the Mental Hospital or at a strike you both own and control. Ghosts haunt people and places. When a Ghost haunts a location, the Ghost’s “Haunting” ability is used. When a Ghost haunts a dude, the Ghost’s “Presence” Ability is used. Ghosts cannot move on their own. Once per day a Ghost may switch from haunting a location to haunting a Dude you control at that location or from haunting a dude to haunting the location the haunted dude is at, you must control that location. A Ghost may also switch the dude it is haunting, moving to another dude you control at the haunted dude’s location. A dude haunted by a ghost gets a -1 Influence (minimum 0) while the ghost is haunting the dude. A deed haunted by a ghost is at -1 Control Point (minimum 0) while the ghost is haunting the deed. Banishment: Ghosts can be inconvenient critters to have around. Sometime you'll want to get rid of them. As a noon action, you may boot a dude to start a job to discard the Ghost. 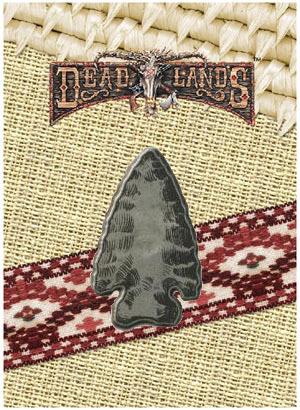 If your posse contains a Blessed, Shaman or Huckster, the Ghost is aced instead or being discarded. Due to the complete wiping out of Joesph Eyes-Like-Rain's Sioux Union outfit,The DFS planned to introduce the Coyote Confederation Militant Branch, The Dim Ones. Serving Raven, but claiming allegiance to the Coyote Confederation, their plan was to conquer Gomorra using dark spirits and hard combat. and The Legion of the Beast. 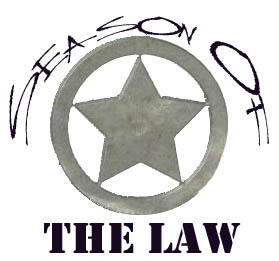 In the PDF above you can see the logo for the "Season of the Law". There were plans to do one for each faction. 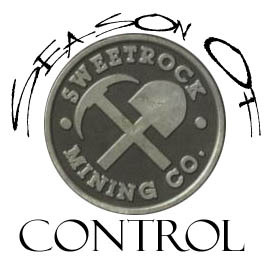 After Control would have been "Rage" (The Dim Ones/Coyote Confederation), The Season of Science (Smith & Robards), The Season of Darkness (Whateleys), The Season of Servitude (The Freemasons), Season of the Beast (Legion of the Beast). Eventually every Faction would have had a season, but since the DFS broke up, the rest were never planned. Following in the footsteps of Doomtown's cousin game, Legend of the Five Rings, Heroes of the west would have been a special promo set going back to the early day of Gomorra and creating "inexperienced" versions of favorite dudes who were lost along the way. JP Coleman, Oswald Hardinger, Black Jack, Nicodemus Whateley were all among the dudes who would have gotten a new version, had the DFS not broken up and been seen through to completion. Sometimes when you have a game with as large a card base as Doomtown you end up making cards that are similar to older cards or share a name with a previously printed card. Cards like that will have the Redux trait. What this means is the Redux card counts as the other card with that title. For example, the new town has a Jail, but it is a different Jail then the one in Gomorra. So instead of renaming it to "The New Jail", or having it be an Experienced Jail, or Most Recent Printing, we give it the Redux Trait. What this means is that this card counts as the other card with that name. This includes uniqueness, and deck construction. So if you want to put 2 of the original Jail into your deck and 2 of the Redux Jail you may, but you cannot put in 4 of each. And you may only have one Jail in play, this includes the original and the Redux. The web graphic for the Election Day tournament where Scott Pierce was elected the new Mayor. John Yarbrough won the Tournament. Other DFS Tournaments were four separate Ride Again events where Jebediah Whateley, William Rose, Nash Bilton, and Ashlar Mayfair were all brought back in one way or another.